It can be so annoying when a web page you’re trying to visit doesn’t load. There are many things that could be to blame for the problem, and there’s a list of steps you should take if you want to figure out what might be causing it. In this piece, we’ll discuss several ways you can troubleshoot a web page that isn’t loading in Safari. Depending on the browser, steps to fix problems might be similar, but they could vary as well. If you are trying to go to a website and you type the URL completely wrong, then your web browser will probably fail to load the site. For example, make sure you use 3 W’s in the URL where relevant and also make sure you only use https:// where relevant, as some sites only use the basic http:// instead. Also make sure the meat and potatoes of the URL is also correct, as a wrong URL can direct you to an incorrect website or to no website at all. Sometimes a hiccup in the loading process occurs. If the page doesn’t load the first time, try refreshing it one, two, or maybe three more times. Website host servers aren’t always as stable as you’d like it to be and you can sometimes get through after the second or third try. See if you can load a different website besides the one you’re having issues trying to load. If the second website loads, it could mean the first is experiencing maintenance, heavy traffic, or some other fluke. This would mean the problem is the fault of the website, and there’s nothing you can really do to fix the problem besides wait a little while longer before trying again. It’s also possible that the web browser you’re using is incompatible with the website you’re using. 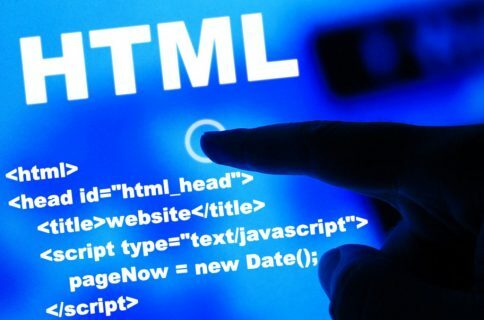 In some cases, some web browsers will render HTML or CSS in different ways than others, and such can actually break websites in some browsers. Try another web browser, such as Chrome or Firefox, and see if the page loads properly this time. You should always check to see whether or not your internet connection is working, because a website will never load if your computer can’t establish a line of communication. You can go to the Wi-Fi icon in your Mac’s Menu Bar to see if you’re connected to a Wi-Fi network. Obviously, if you aren’t, you’ll have to connect to one before the page will load. Sometimes by moving too far away from the network you were just on, your computer will drop the connection. This is common around school campuses where you’re walking around or moving from room to room quite often. On Macs that have a wired connection via Ethernet, make sure the cable is plugged in and that it didn’t get knocked loose. Try another Ethernet cable, if you have one, to see if your current cable has gone bad. Sometimes, your IP address could get funked up and conflict with another device on your network. When this happens, you will be unable to load web pages. We have a detailed tutorial for how to renew your DHCP lease to fix this problem. If you are connected to a Wi-Fi network and are still unable to load a page, try turning your Wi-Fi off and on again from the Wi-Fi settings in your Menu Bar. By clicking on the Open Network Preferences… button in the Wi-Fi menu, you can see whether or not your computer has an IP address on the network you’re on, as well as whether or not it has established a successful connection with the internet. If you see a yellow or red dot instead of a green dot, you have a problem that needs to be fixed before you can access the internet. This could be with the network itself, or your computer. Continue through the steps below if the dot next to Wi-Fi isn’t green. It’s possible that a piece of software on your computer is bugging out, so you might want to try rebooting your computer if none of the above steps worked. After it restarts, attempt to connect once again. If possible, reset the wireless router or modem. By doing so, any problem that might have been related to the source of the internet should be fixed. If you have corrupted website data stored in your web browser, then Safari might be trying to load information that will lead it into a loop of failures time and time again. You can remove all current website data by going to Safari → Preferences → Privacy → Manage Website Data… from the Menu Bar. This will delete all saved website data you have and let you re-load fresh data. I’ve seen many cases where a website refuses to load until you disable your ad blockers. Try disabling any ad blockers or other browser add-ons that might be hindering the web page from loading, then attempt to load the page again. Some security software and firewalls have been known to block access to certain websites because they think they’re malicious. In some cases this is true, but in others, false positives make the software block access to these websites even when you don’t want them to. If you trust the website you’re trying to visit, you can attempt to disable your security software and load the page again. Some VPNs, just like security software, block access to some websites. If you have a VPN running, try disabling the VPN and try again. If you haven’t already changed your stock DNS server settings to a better one, we have an excellent tutorial on how to do that. 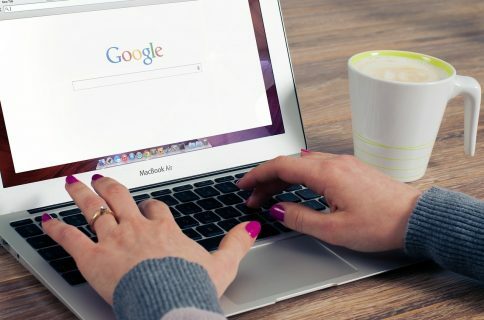 Google’s DNS server always works quickly and has nearly no down time, so switching to it could fix your problem or help the website load more quickly on your machine. If after everything above, and after waiting a little while to rule out that it was a website-based problem, try contacting the website administrator to see if there are any underlying problems that could be fixed. If you ever had a problem with a web page not loading in Safari, what did you do to fix it? Share in the comments below.